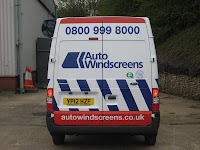 For many years Autowindscreens have used the GQA Level 2 qualifications as a benchmark of competence and knowledge and then used the GQA Level 3 qualification for Technicians with more experience and a higher level of technical expertise. The Automotive Glazing Industry, like many others, is becoming more regulated. Sections of the customer base demand proof that Technicians have the skillset to carry out work on the vehicles with the technology built into the glass that is becoming more and more advanced and part of the vehicle safety systems. Very recently Autowindscreens has become the first Centre to use the GQA Level 3 Award for Continued Competence in Automotive Glazing, a qualification that has been developed specifically with PAS 125 in mind. This qualification will be used by Autowindscreens for those Technicians who have completed the “traditional” Level 2 and Level 3 qualifications where the achievement is over 3 years ago. Chris Bonsall is the Innovation and Training Manager at Autowindscreens and has been involved with GQA since the introduction of Automotive Glazing NVQs back in the early 1990’s, he said” The Continued Competence qualification developed by GQA is an ideal addition to the range of ways we have to ensure our Technicians are keeping their skills and knowledge current and we have committed to get to a point where all of our Technicians hold a Level 3 qualification”.